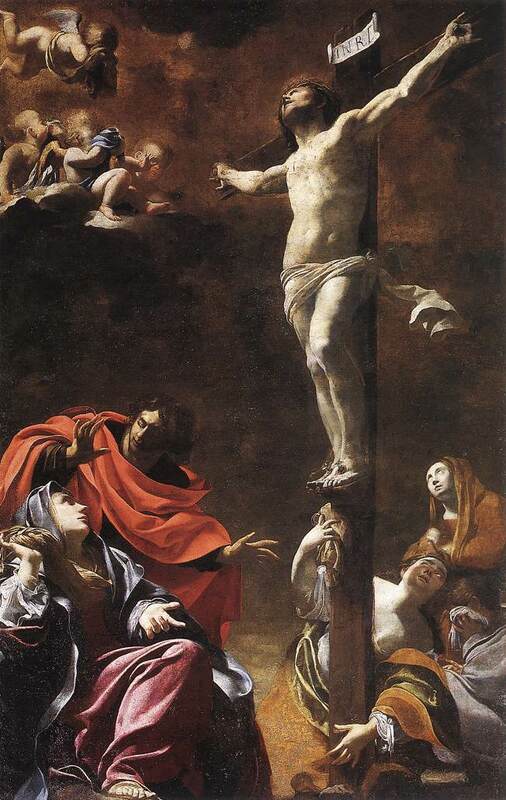 Jesus’ mother and his mother’s sister, Mary the wife of Clopas, and Mary Magdalene stood near the cross. When Jesus saw his mother and the disciple whom he loved standing nearby, he said to his mother, “Woman here is your son.” Then he said to the disciple, “Here is your mother.” And from that time on, this disciple took her into is house. Mary is watching her son die. In his final moments, as a small community gathers around him, Jesus commends his mother to the care of one of the Twelve (possibly John, the author of this Gospel). He has to do this because at this point none of the rest of his family—not even his brother James—believes in him. God has always had a people. From the beginning of his ministry, Jesus doesn’t just heal individuals, but he creates a community around himself. Even at the cross, we see Jesus gathering people and creating networks of care. For some reason—and I really don’t know why—we resist so much of this. We pull away from community, sometimes because of time or priorities, sometimes because of hurts, sometimes because we don’t like what we’re hearing about ourselves. But we really need to fight against this isolating tendency. Because someday there will come a need: a phone all that changes everything; a meeting that dries up the future; an email that shakes the foundation of everything you are. Someday, it’s going to be dark, not just outside, but maybe inside your spirit as well. And then where will you turn? We like to think that we exist in some glorious vacuum: some of us alone as individuals; some of us as nuclear families. But the truth of the matter—even revealed at the Cross—is that we are in desperate need of other human beings. are you gathered around the cross of Jesus with other folks? are you committed to them, and they to you? if not, is there something you need to do to restore yourself to that community? This is one of the most beautiful songs I’ve ever heard about the Church, and this deep need that we have for community. Watch it and think—really think—about these words. © 2010 Bridge Building / Pogostick Music (BMI). All rights for the world on behalf of Pogostick Music administered by Bridge Building. This entry was posted in faith and tagged community, Jesus, lent. Bookmark the permalink.